Ever since I saw this brownie over 3 years ago, I knew I wanted to make them. And I also knew that I would replace cherries with strawberries whenever I do. But never got around to doing it. Finally I did manage to make it just as I wanted with strawberries. I used my go-to recipe for brownies which I have adapted into whole wheat and amaranth version with great success here. I used the same whole wheat version and just added wine roasted strawberries into it. 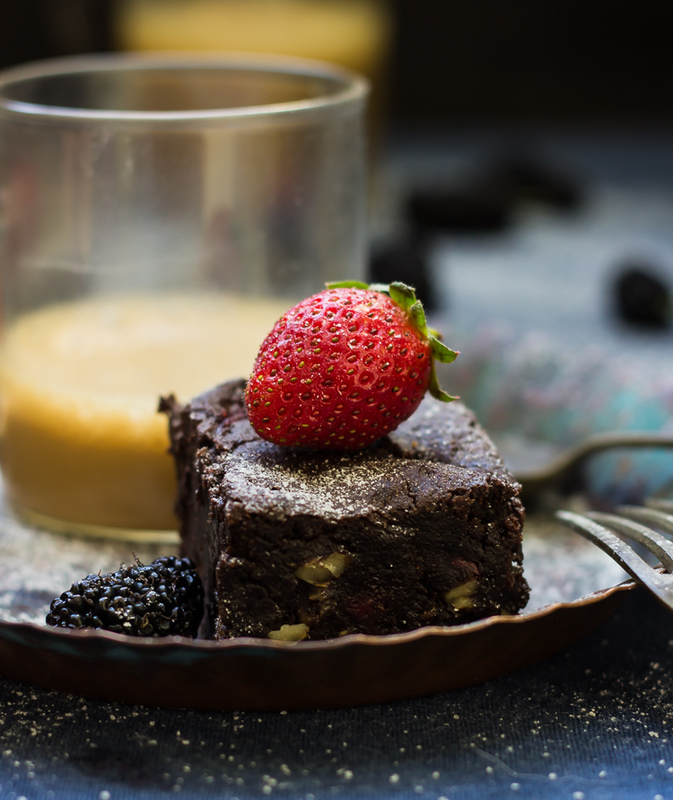 The result was decadent, gooey and extremely rich brownies. Also, for some reason, V didn’t get time to eat these and my kids are not fond of nuts so they gave it a pass. Well I am not complaining as I got to enjoy most of it. I roasted the strawberries a couple of days in advance and refrigerated them till further use. I highly recommend making and enjoying these brownies. Wishing you all a Merry Christmas and season’s greetings. Have wonderful holidays!! !